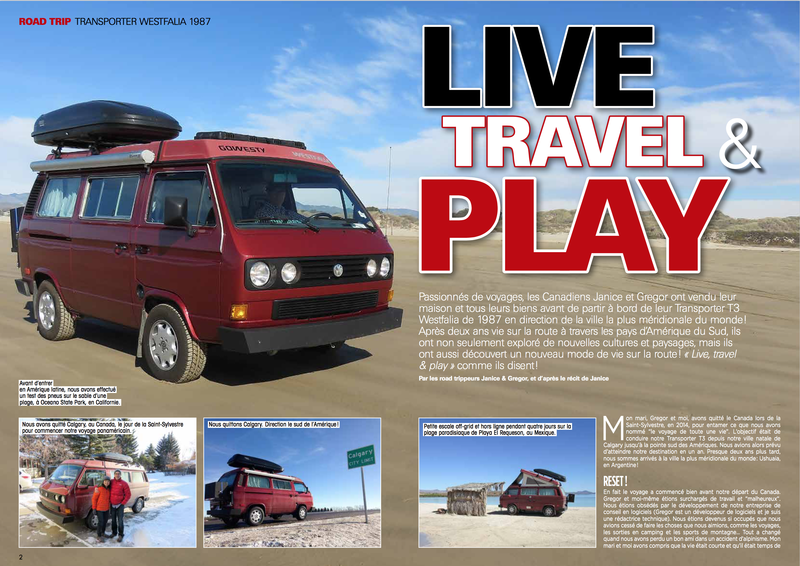 Combi Magazine Publishes Lucky’s Latin American Road Trip - Live. Travel. Play. 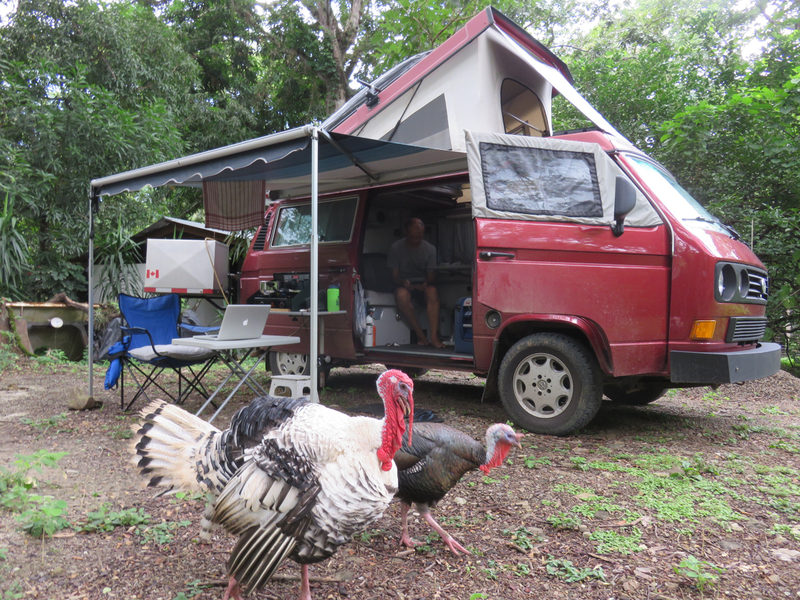 Our beloved van, Lucky, is the star of an 8-page article in Combi Magazine’s fall issue! 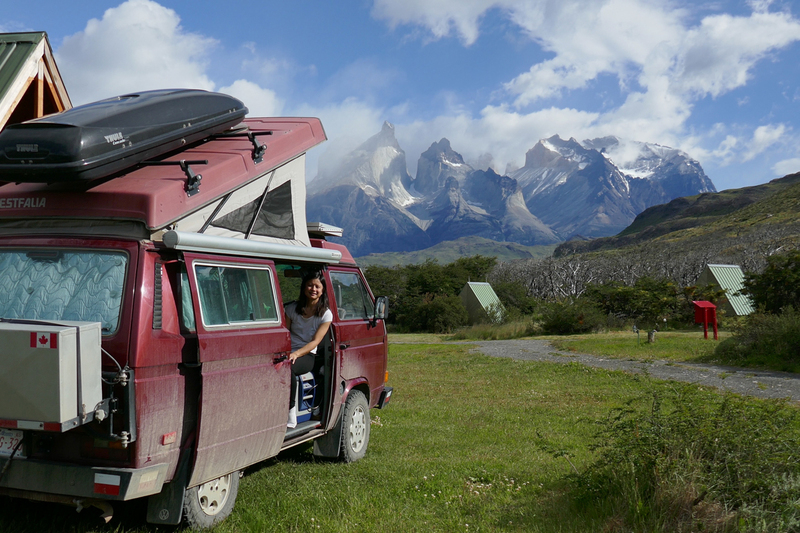 The story titled “Live Travel & Play” shares highlights from our 2-year Pan-American road trip, including our favourite driving routes, how we prepared Lucky for the journey, and what it’s like to live and work in a tiny home on wheels. 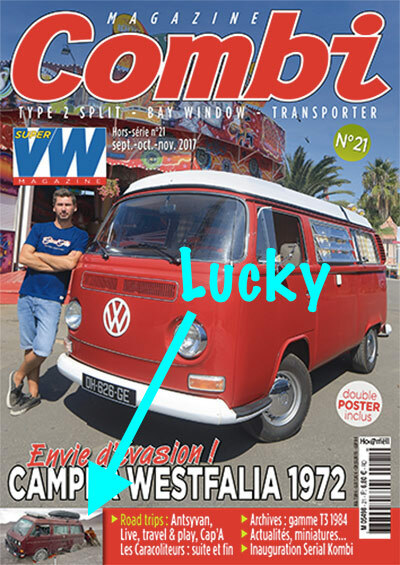 Published in France, Combi Magazine features stories about vintage Volkswagen Bus and Vanagon models. 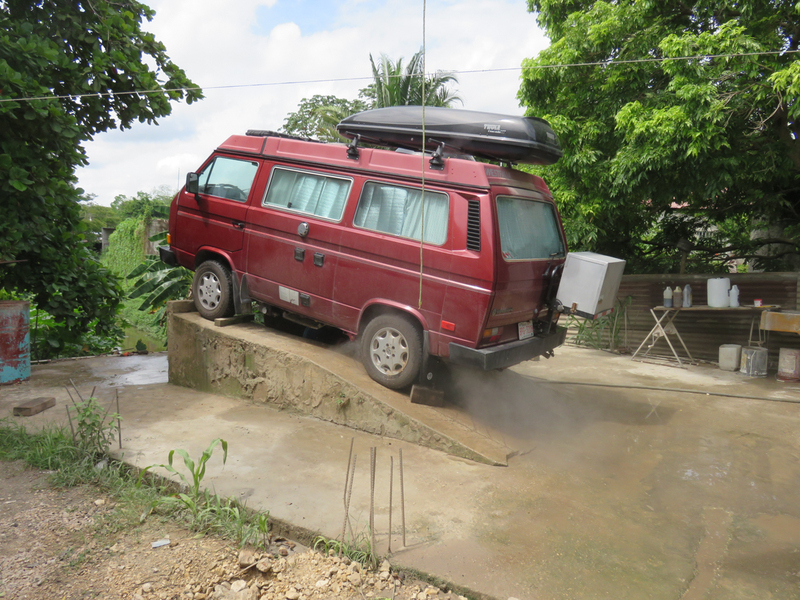 In Europe, our Vanagon model is called the “Transporter T3”. The word “Combi” (or “Kombi”) means “passenger minibus”, nicknamed after Volkswagen’s proprietary Kombiwagen or “combination car”. 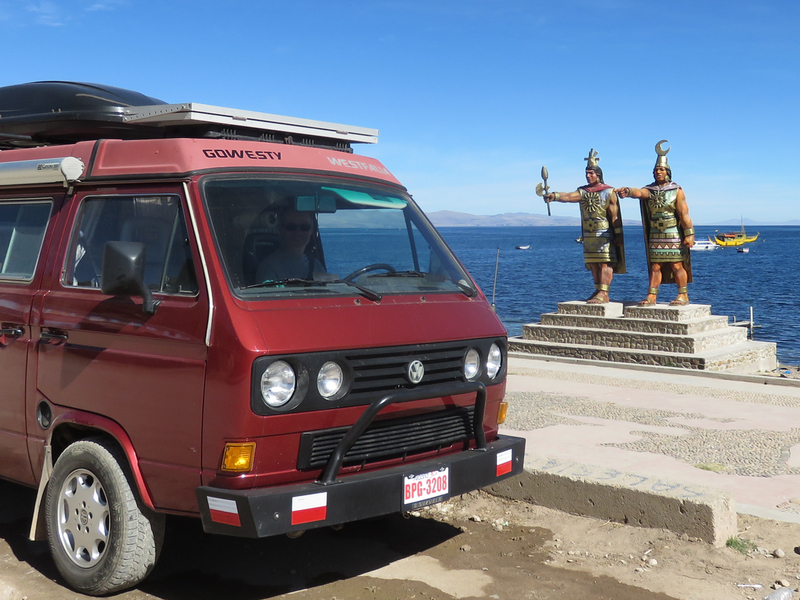 Following their passion for travel, Canadians Gregor and Janice sold their house, downsized their possessions, and drove their 1987 Volkswagen T3 Westfalia to the southernmost city in the world. 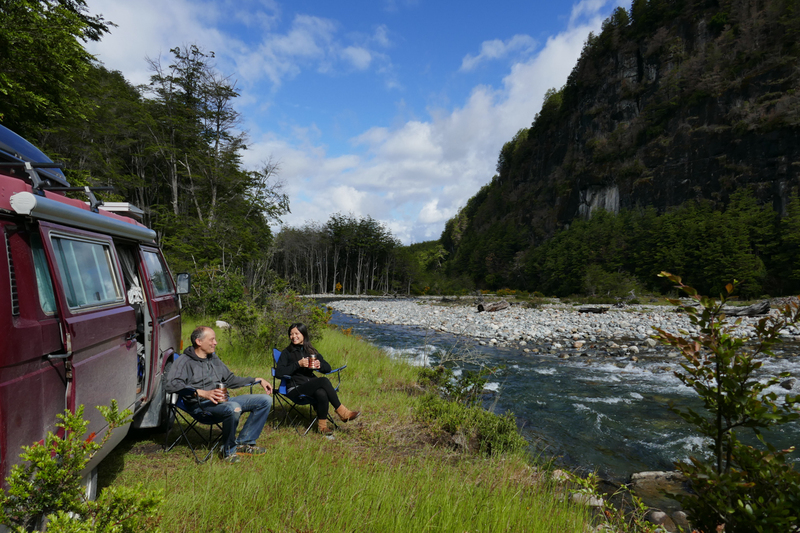 After two years of driving the Americas, they not only explored new cultures and landscapes, they discovered a new lifestyle on the road. 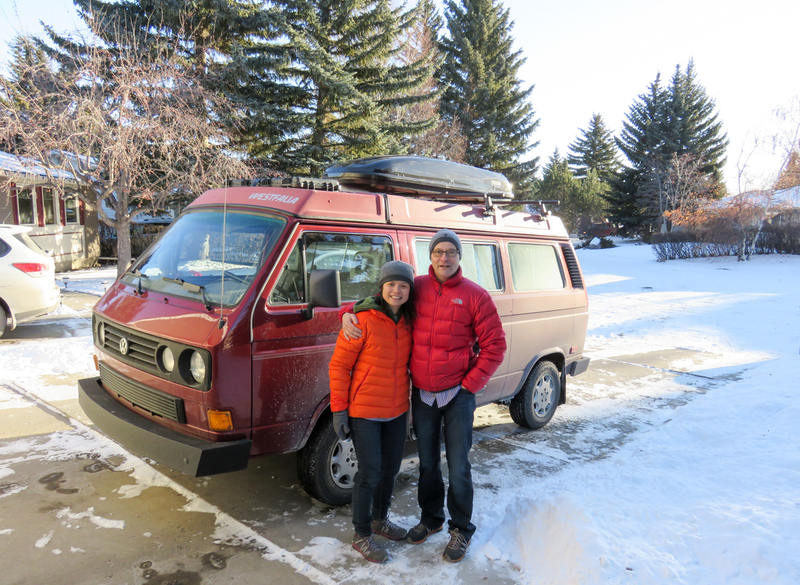 My husband, Gregor, and I left Canada on New Year’s Eve 2014 to begin the road trip of a lifetime. 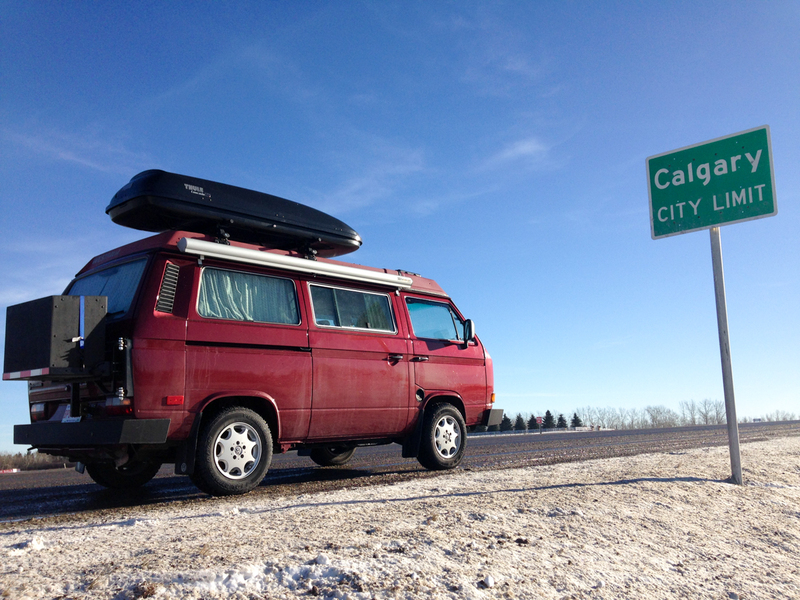 The goal was to drive our VW van from our home city of Calgary to the southern tip of the Americas. We originally planned to reach our destination in one year. 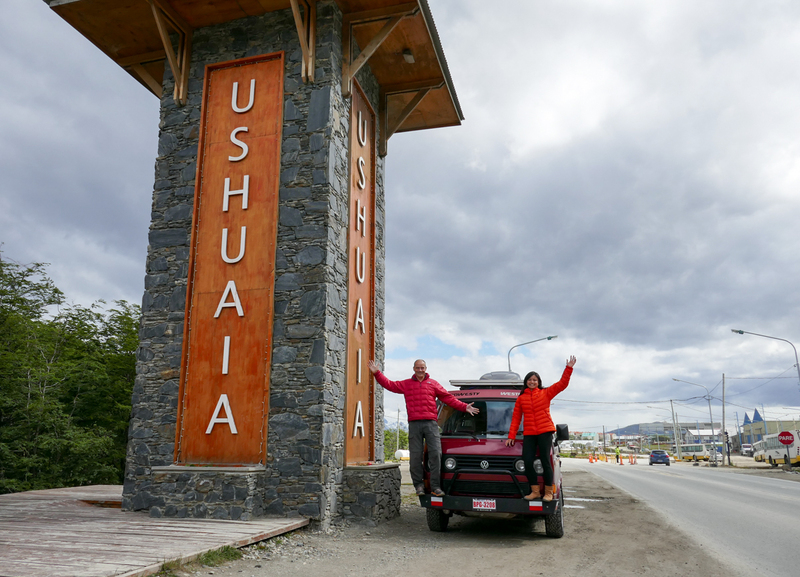 Almost two years later, we arrived at the southernmost city in the world: Ushuaia, Argentina. The journey actually began before we left Canada. Gregor and I were overworked and unhappy trying to grow our software consulting business (Gregor is a software developer and I am a technical writer). We became so busy that we stopped doing the things we loved, including travel, camping, and mountain sports. Everything changed when we lost a good friend in a mountaineering accident. My husband and I realized that life is short and it was time for a change. 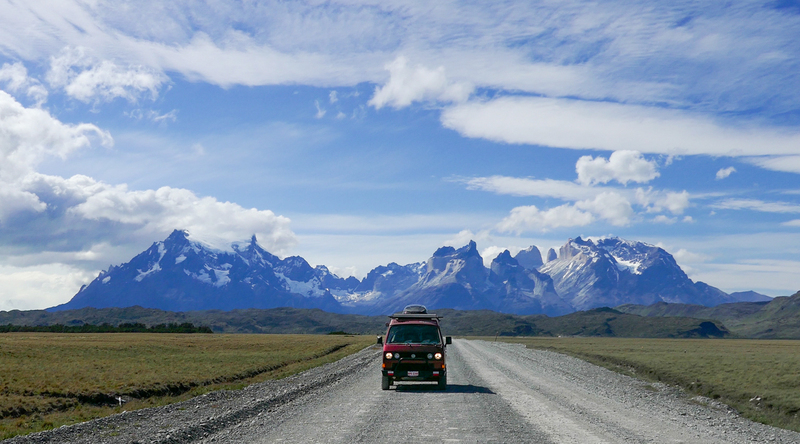 We decided to leave the rat race and follow our dream to drive to Argentina. 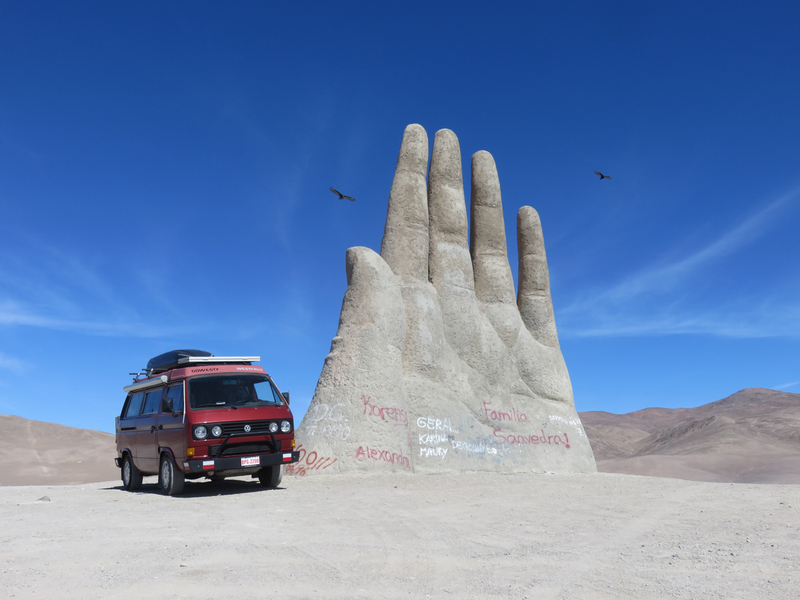 The vehicle that would take us there was our 1987 T3 Westfalia named “Lucky”. 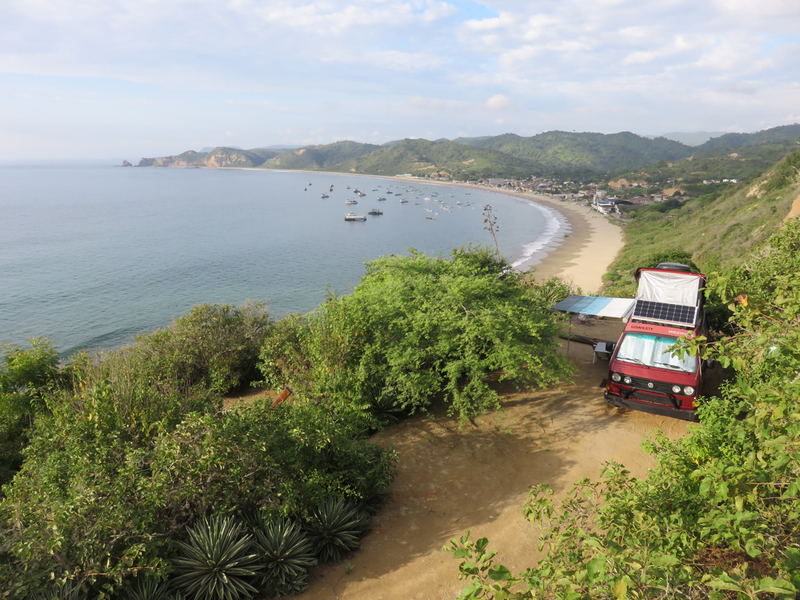 In eight months, Gregor and I downsized our belongings and turned Lucky into an overlanding machine. We sold our house and our second car, and used some of the money to upgrade our van. Lucky got new brakes, tires, shocks, springs, and CVs. We also installed a GoWesty 2.3 L engine, a new transmission, and limited slip differential (for better traction). 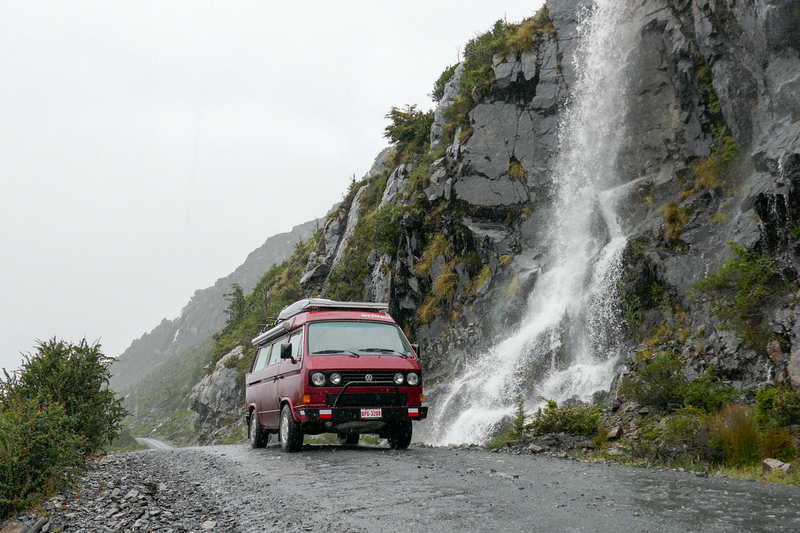 Over time, we equipped our van with off-roading features such as steel bumpers, a bull bar, South African headlights, and a swing-away rack to carry extra gasoline and water. 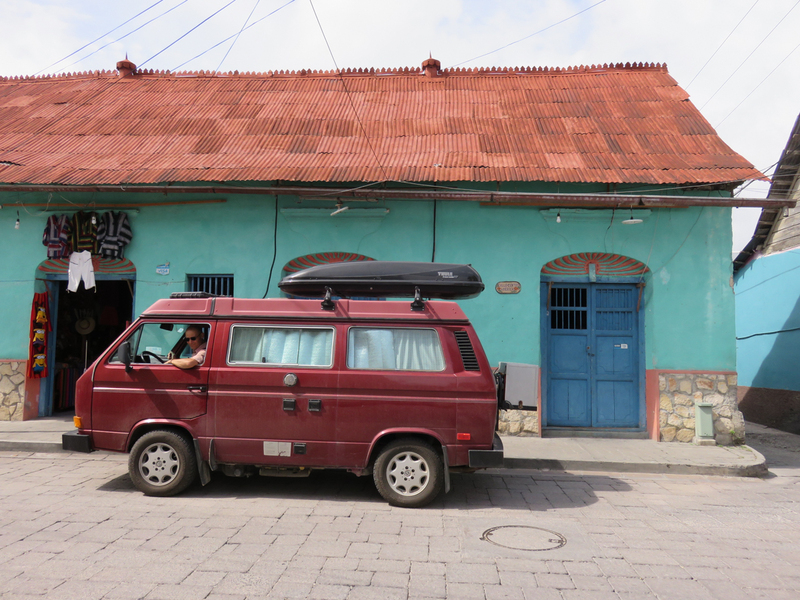 All our preparation paid off when we crossed the border from the United States and entered Latin America. 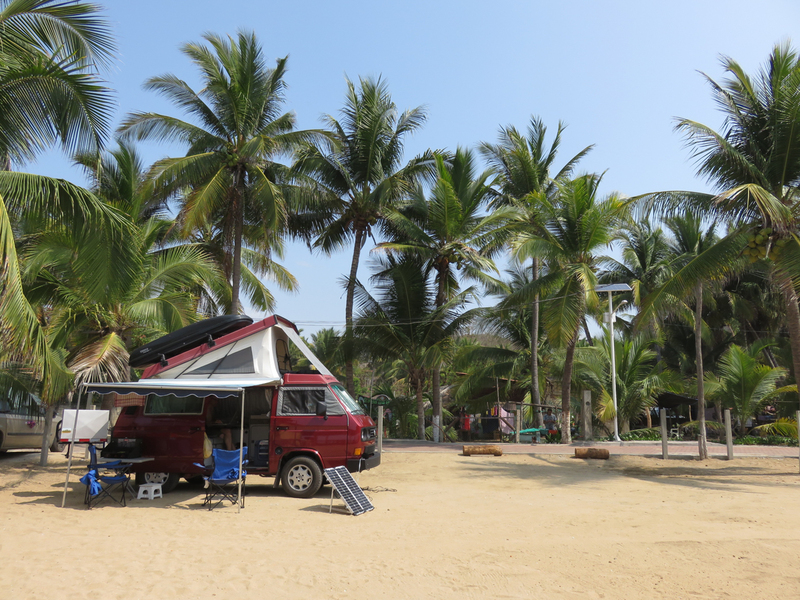 In Mexico, we drove on bumpy highways, rough dirt tracks, and sandy beaches. 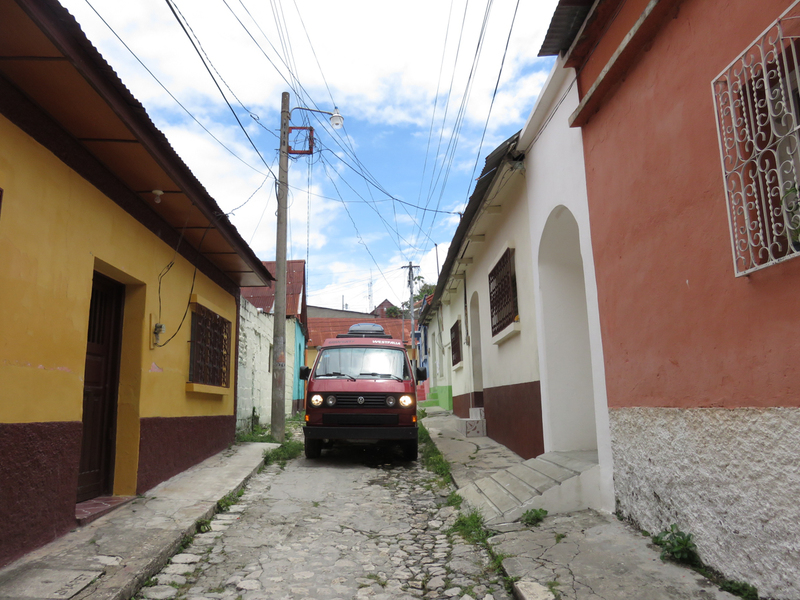 Throughout Central America, we navigated through the narrow cobble streets of Spanish colonial towns and followed wet potholed roads through tropical jungles. 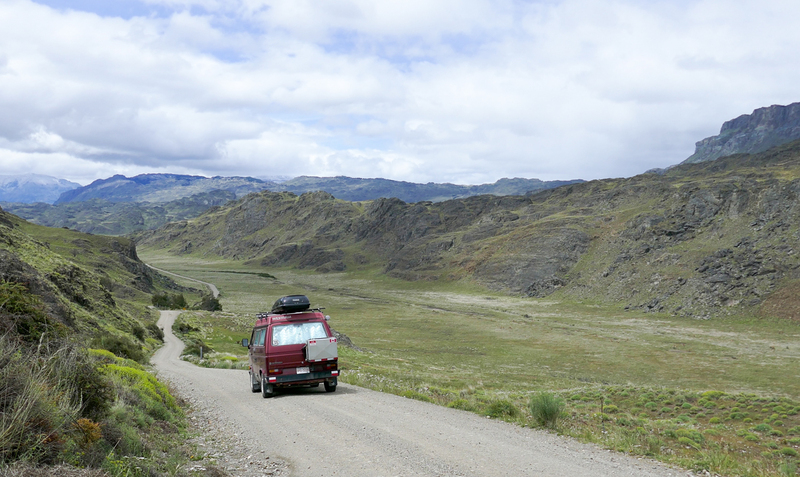 In South America, Lucky climbed the steep winding routes of the Andes and crawled over washboard gravel roads in Patagonia. If there is one word to describe Latin American driving culture, it is “chaotic”. Drivers tend to be in a rush, often speeding through dense urban streets and racing on mountain switchbacks, and it is normal to pass on blind corners and cut people off. 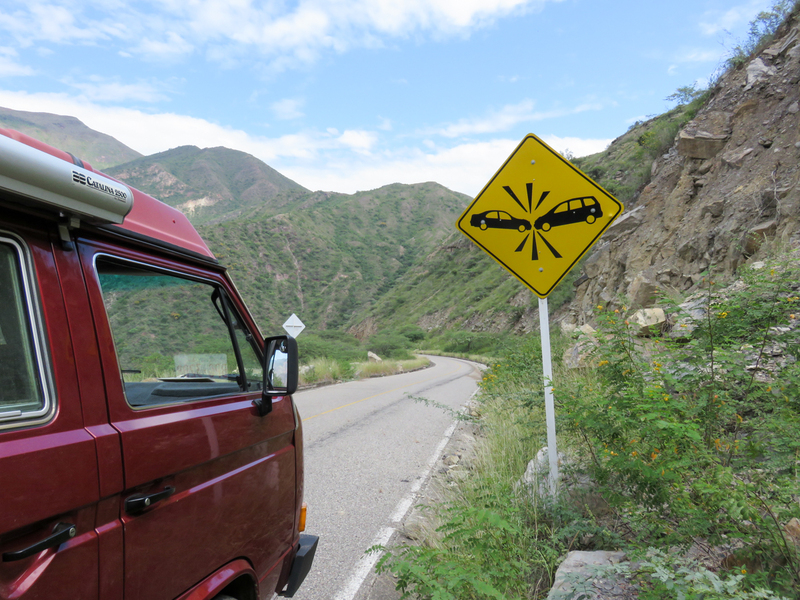 Gregor and I joke that Latin American road rules are only suggestions and the road signs are just for decoration. 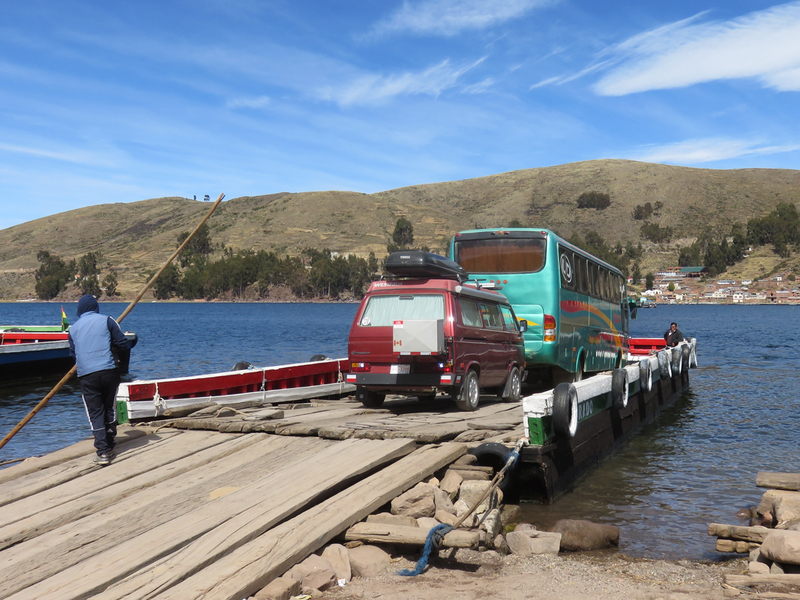 Fortunately, the Latin American people are much more friendly and helpful than their driving culture suggests. 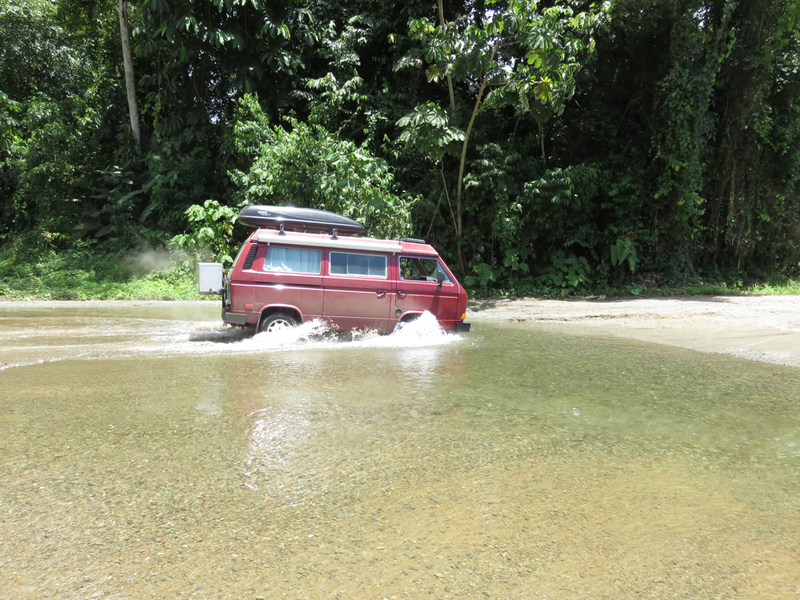 In remote regions of the Americas, the roads have much lower vehicle safety standards, yet they are the most interesting to drive. 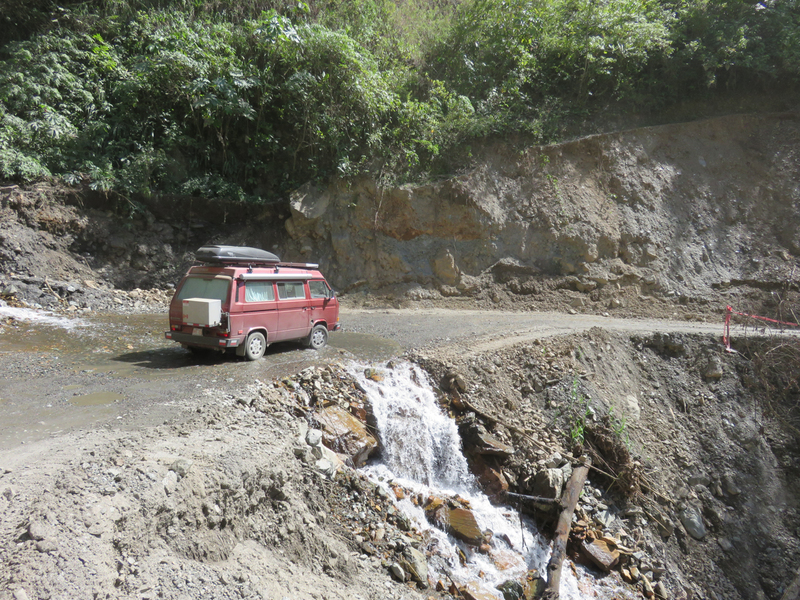 Narrow mountain roads often lack guardrails or proper drainage. 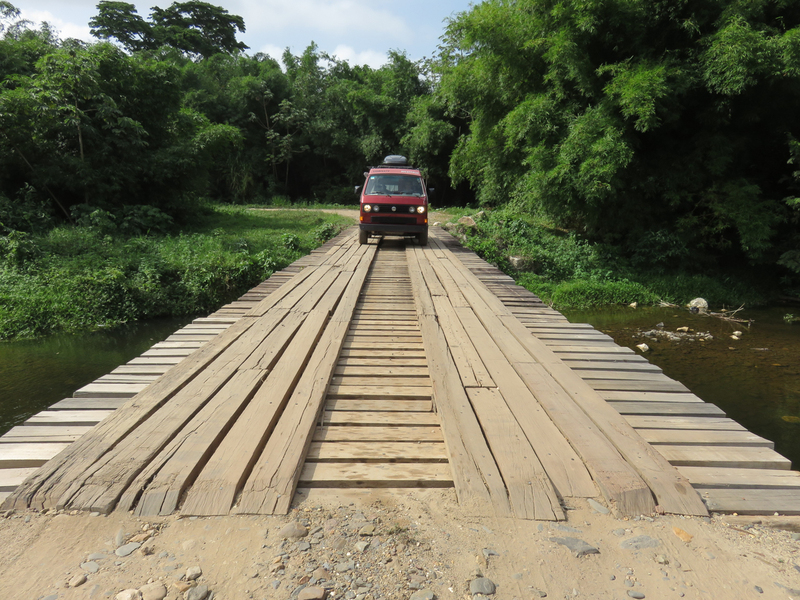 Rickety car ferries or creaky wooden bridges are often the only way to cross rivers and lakes. 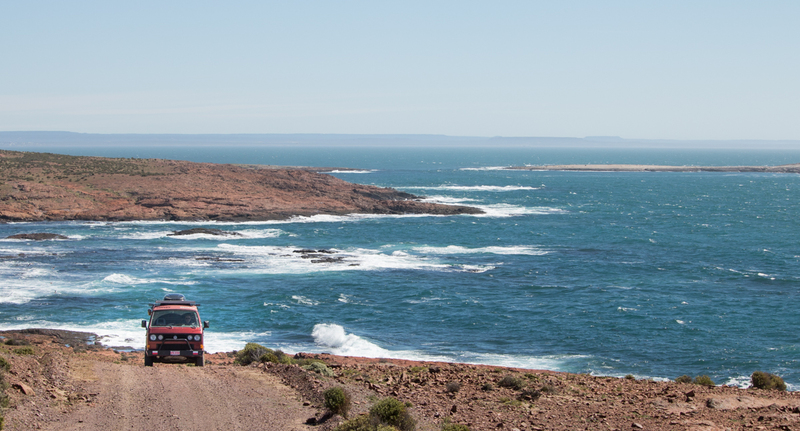 After over two years on the road, we have learned that the toughest driving routes offer the best travel experiences. 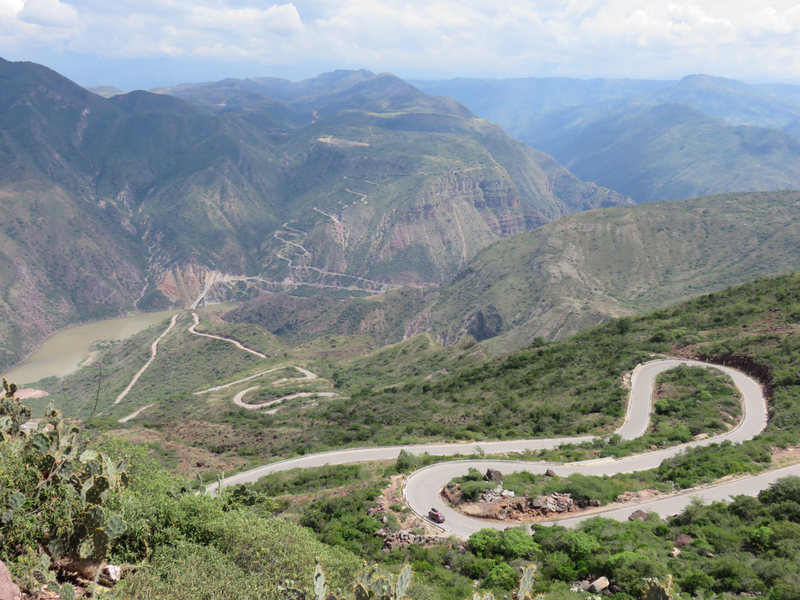 The most spectacular and challenging routes were in Bolivia, where one can access the Andes, the Amazon, and the Altiplano (high plains). 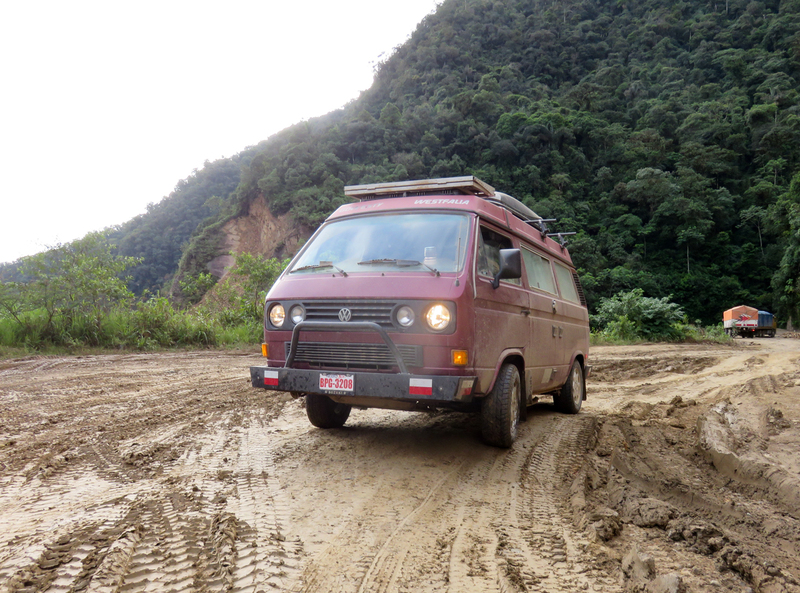 The road from the capital of La Paz to the Amazon Basin was the absolute worst road of our trip. It took us 8 hours to drive a 230-km stretch filled with potholes, gravel, rocks, mud, ruts, landslides, fog, dust clouds, construction zones, and steep single-lane tracks. 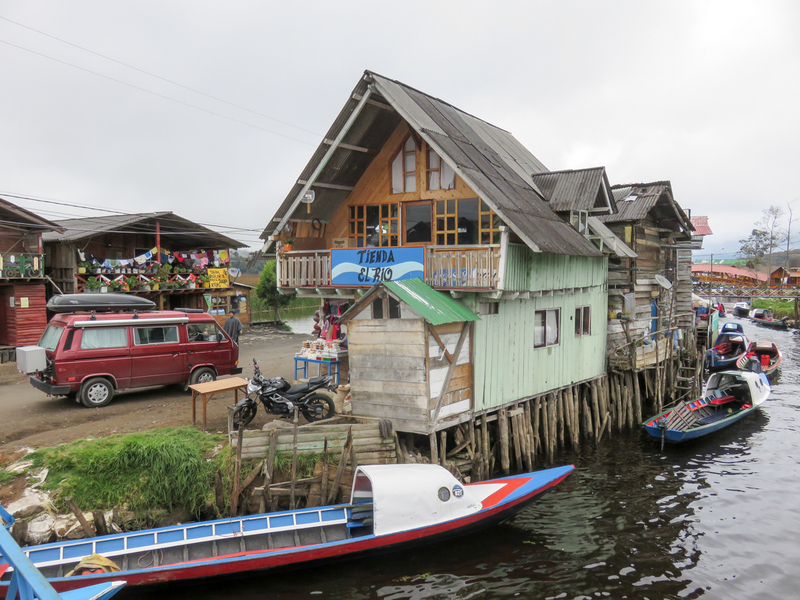 Once we arrived, we were rewarded with tropical weather and fascinating wildlife – the highlight was watching pink dolphins swimming in the river only a few metres from our canoe. 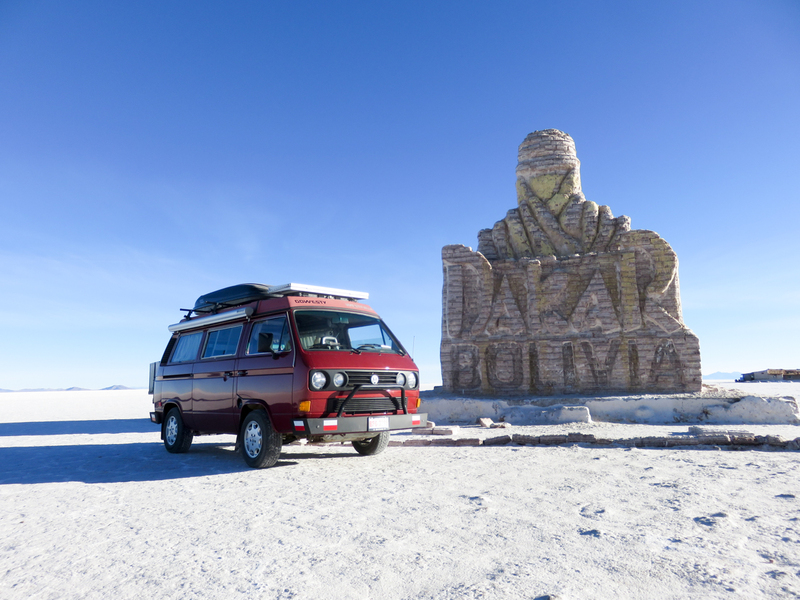 Our most unique driving experience was on Bolivia’s Southwest Circuit, a backcountry route that crosses the Salar de Uyuni (the world’s largest salt flat) and includes the Lagunas Route, an uninhabited high-altitude region occupied by colourful lakes, thermal springs, and volcanic formations. 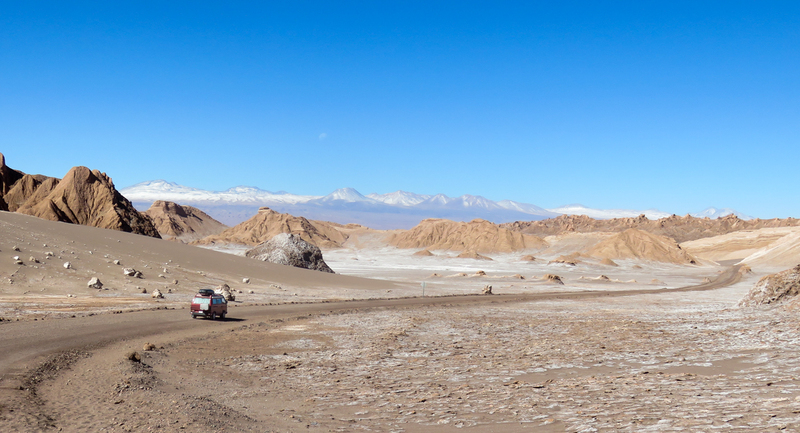 The circuit sits at 3600-5300 m elevation and it is windy, dry, and cold (-10 deg C overnight in June). 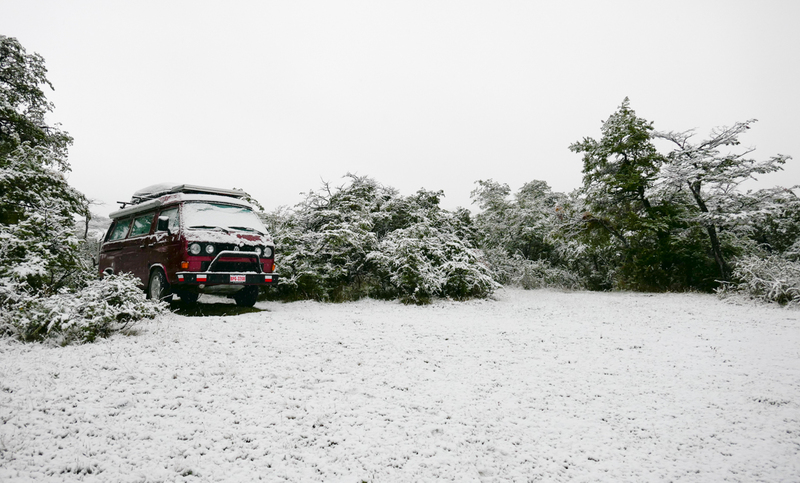 We joined a caravan of three other vehicles on the Southwest Circuit for 6 days, supporting each other through the harsh weather and barren wilderness. 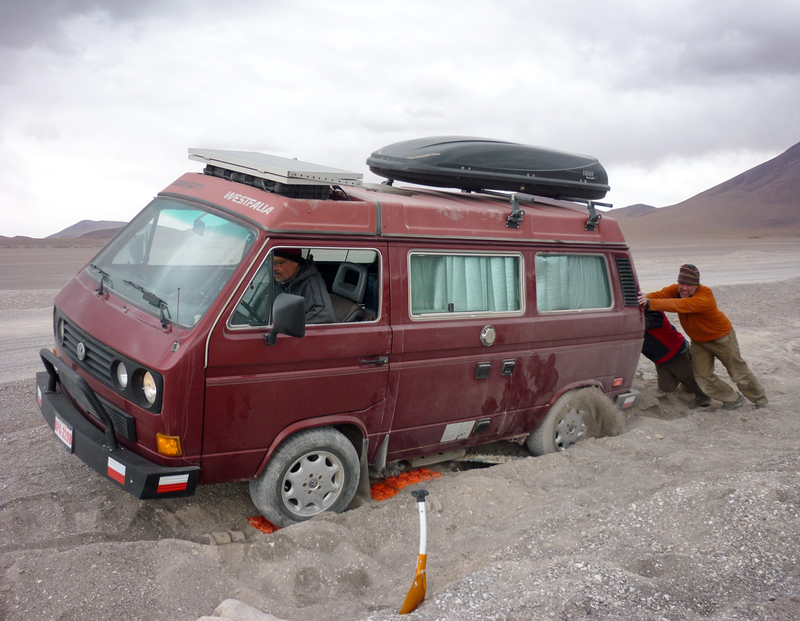 Stuck in the sand in the Bolivian altiplano (Laguna Colorada, Lagunas Route, Bolivia). Photo by Tanya Grocholsky. 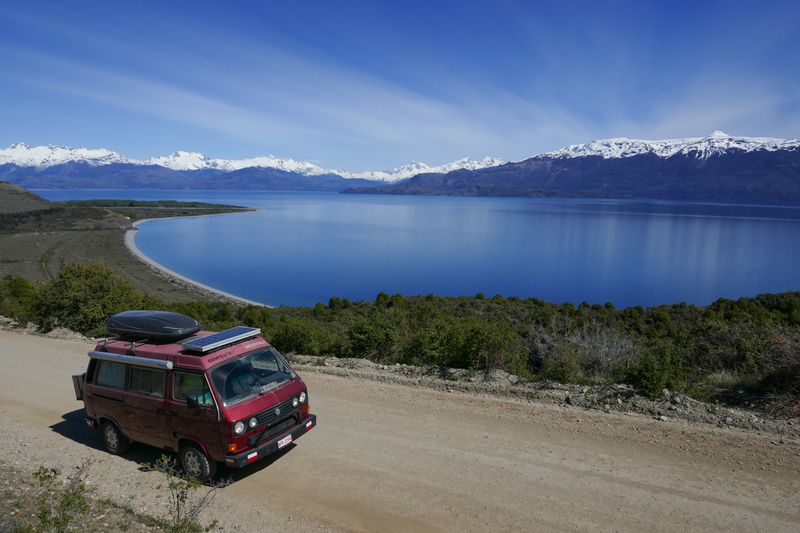 Our favourite driving route in the Americas was the Carretera Austral (“Southern Road”, Route 7), located in Chilean Patagonia. 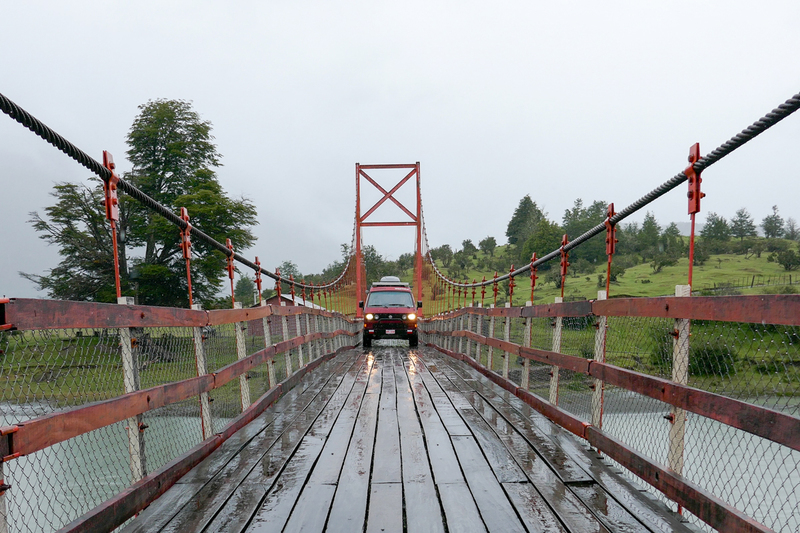 This 1,247-km route is mostly gravel and passes through a gorgeous landscape that includes lush pastures, gushing waterfalls, pristine lakes and rivers, and mountains covered with cascading glaciers. On the southern half of the route, the gravel was so rough that our average speed was only 30 km/h and our maximum distance was only 150 km per day. 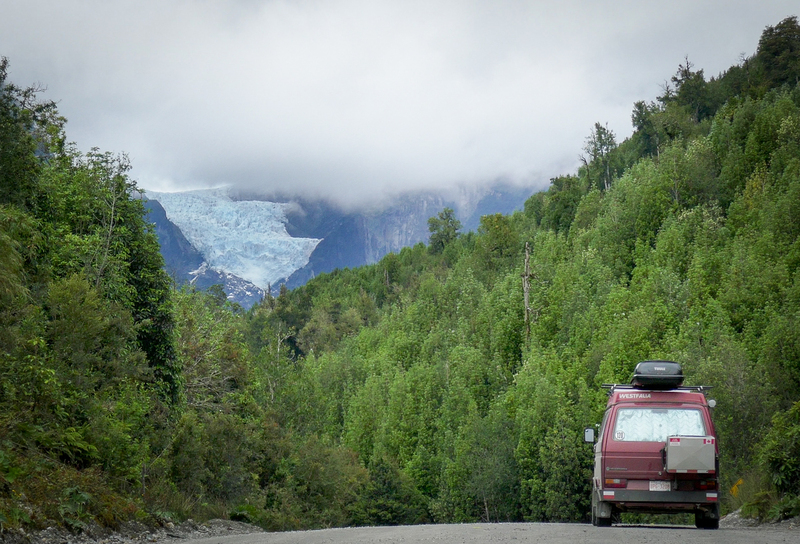 It took us three weeks to complete the Carretera Austral, but the slow pace allowed us to fully appreciate Patagonia’s natural beauty. 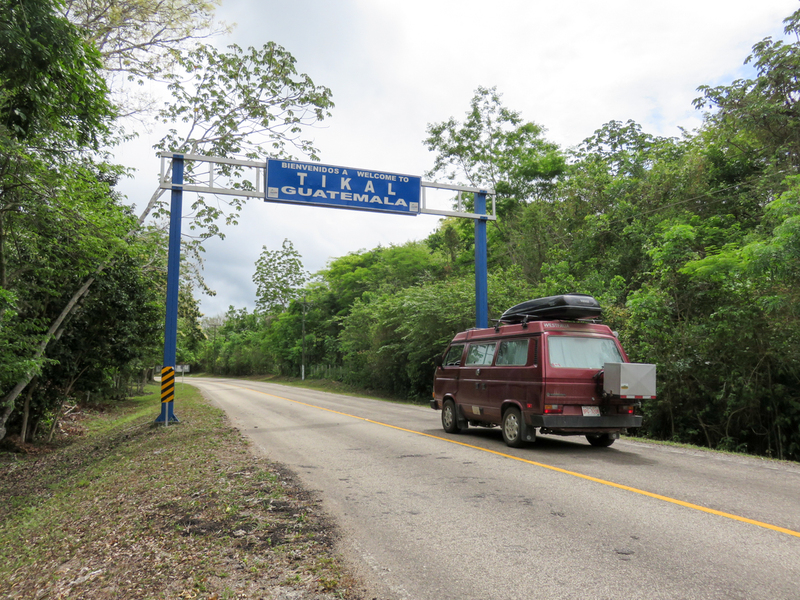 Throughout our trip, we met other overlanders who were also driving the Americas in their T3 vans. Often, we had unplanned encounters in different countries. 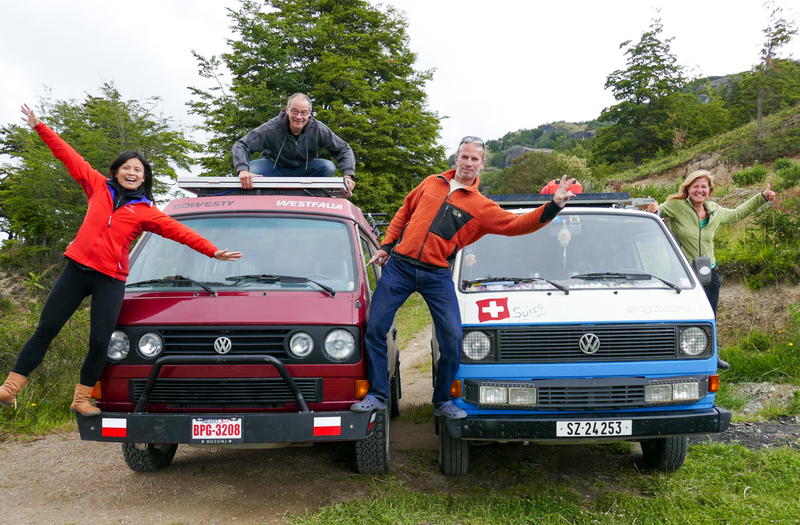 Swiss overlanders Martin and Claudia have been traveling in their Syncro camper “Lenny” for four years and we met them randomly in Mexico, Peru, and Chile. 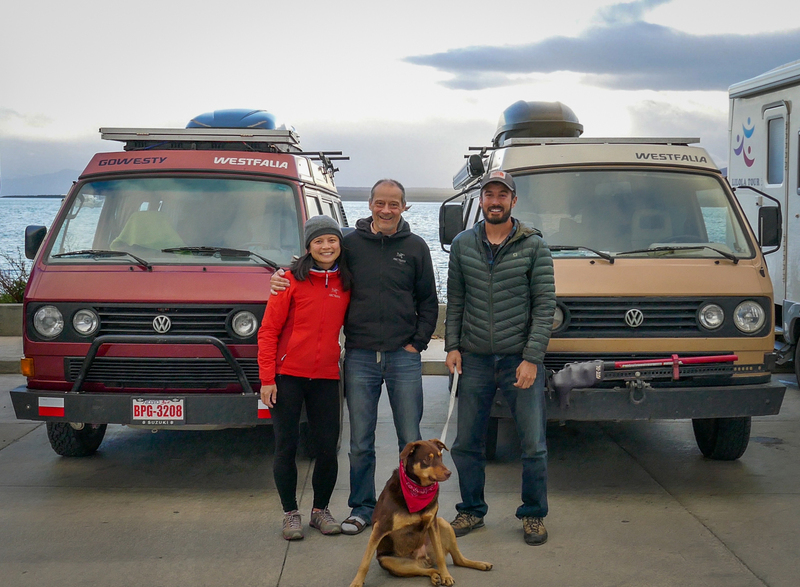 We first met American traveller Ben, his dog “Lorenzo”, and his Weekender camper “Wally” in Peru, then reunited again in Bolivia, Chile, and Argentina. There is a special bond among T3 drivers that is magnified when you share the same Pan-American journey. 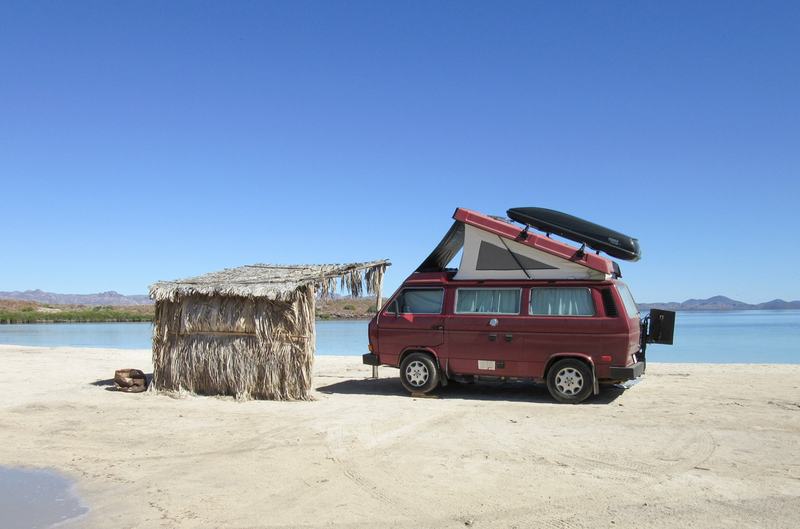 It’s hard enough to maintain a vintage VW van in your home country, where you have easy access to specialty parts and service. 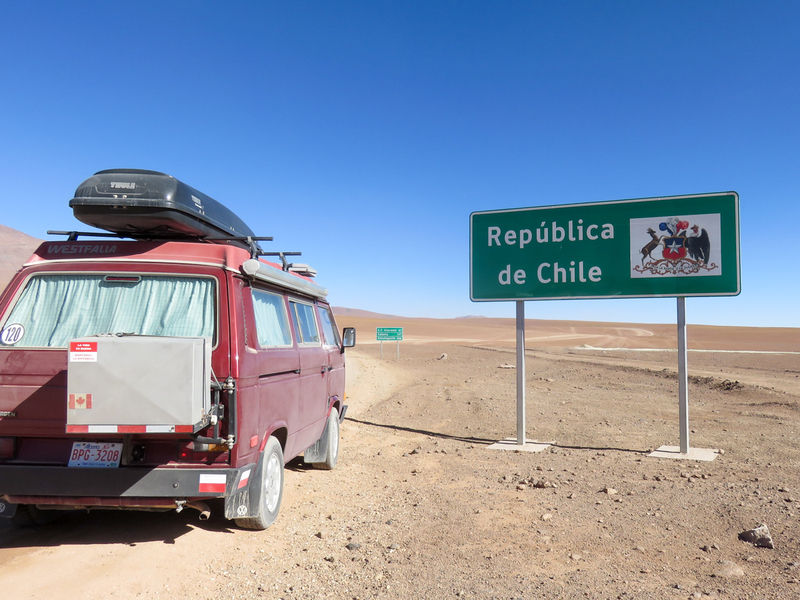 It’s an entirely different challenge to keep your van alive in Latin America, where T3 parts are hard to find, reputable mechanics are scarce, and language barriers are problematic. For this reason, we carried extra VW parts and special tools for self-repair and recovery. By some miracle, Lucky lived up to her name and made it to Argentina and back without any show-stopping breakdowns. 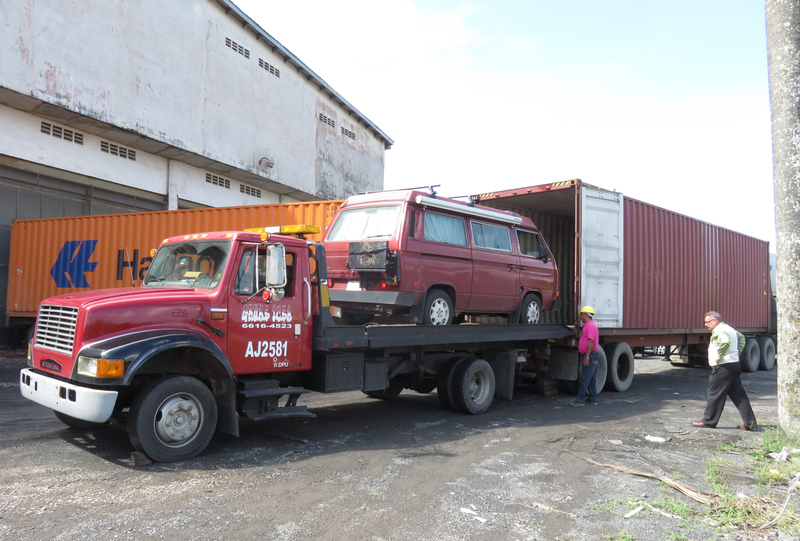 However, a 30-year-old vehicle like ours always needs love and attention to stay healthy on the road. 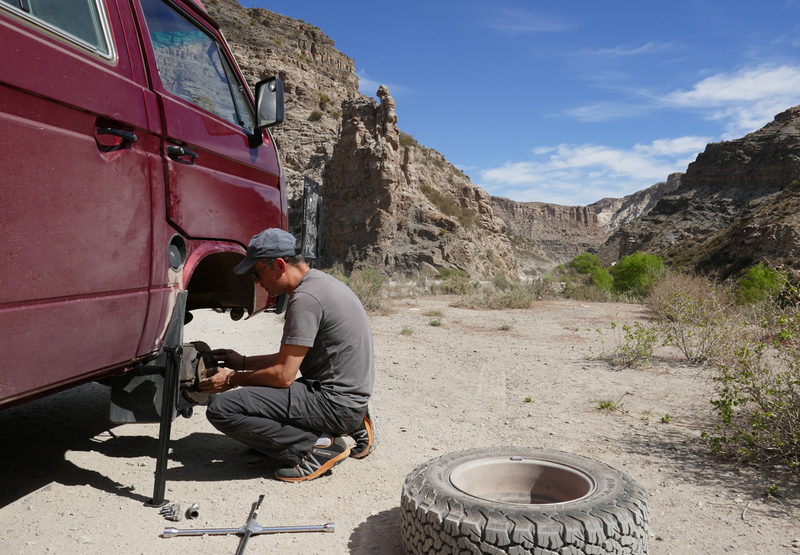 During our trip, Gregor replaced four half shafts, front wheel bearings, brake pads, and tires. We fixed fluid leaks, replaced corroded or frayed wires, and battled with recurring mold. Thousands of kilometres of bumpy roads caused bolts to unscrew themselves and we constantly tightened them to prevent further damage. 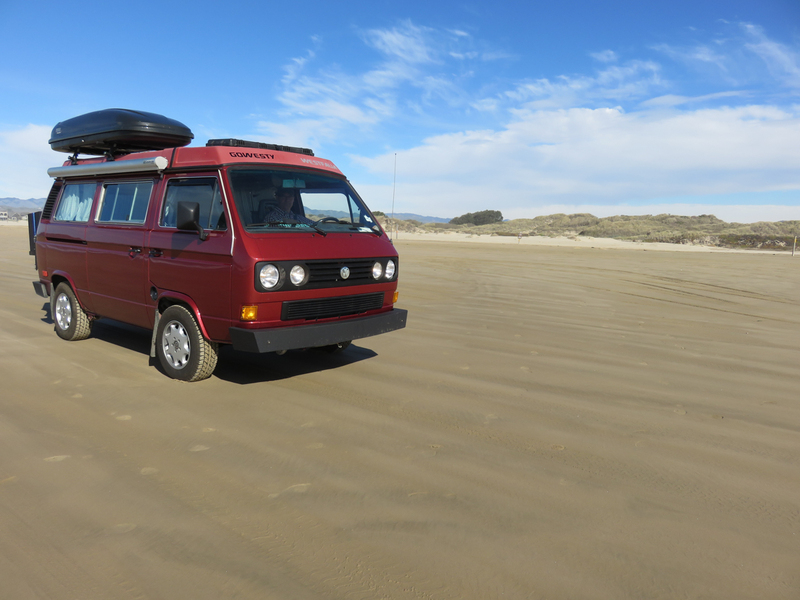 Thousands of hours of beach camping exposed Lucky to sea salt and we washed her frequently to minimize rust. 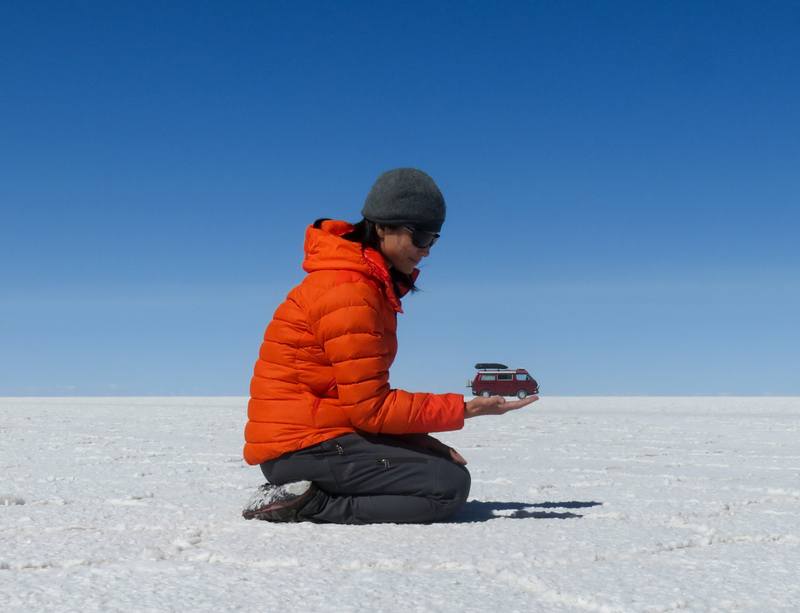 Lucky is more than just a vehicle to us – she is our home and mobile office. 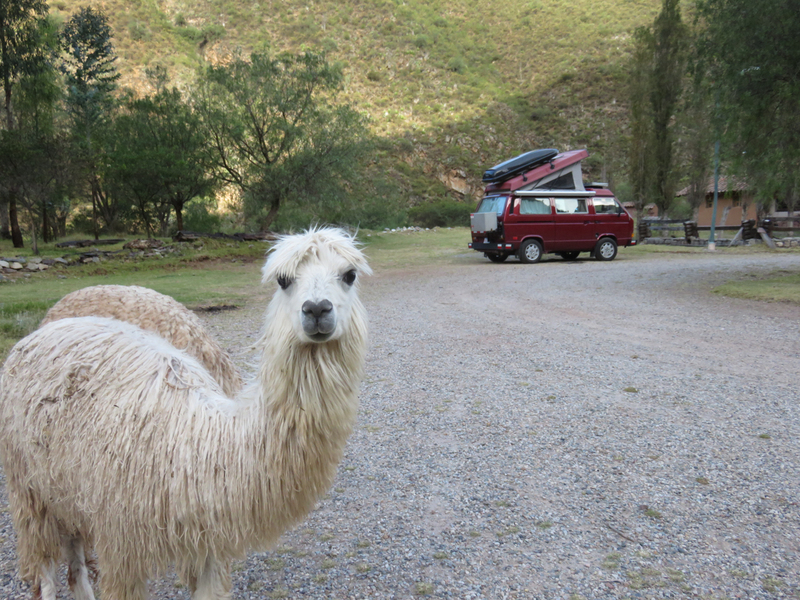 During our drive through the Americas, Gregor worked part-time as a software programmer. 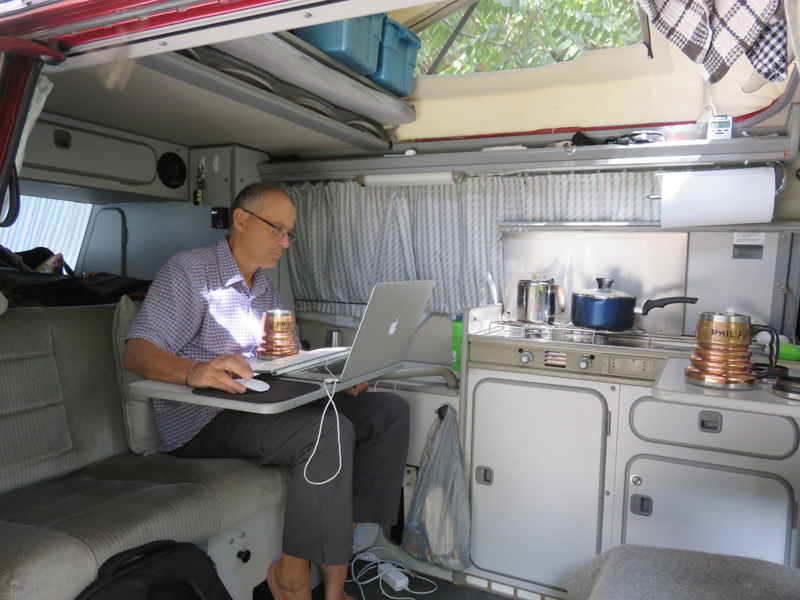 I quit my position as technical writer and became the “van manager”. My new job included planning our driving route, managing the budget, and blogging about our journey. Both our jobs required extended computer work, so Gregor installed a solar-powered system that could support all our electronic devices, a 12-Volt fridge, a propane furnace, and extra lighting. 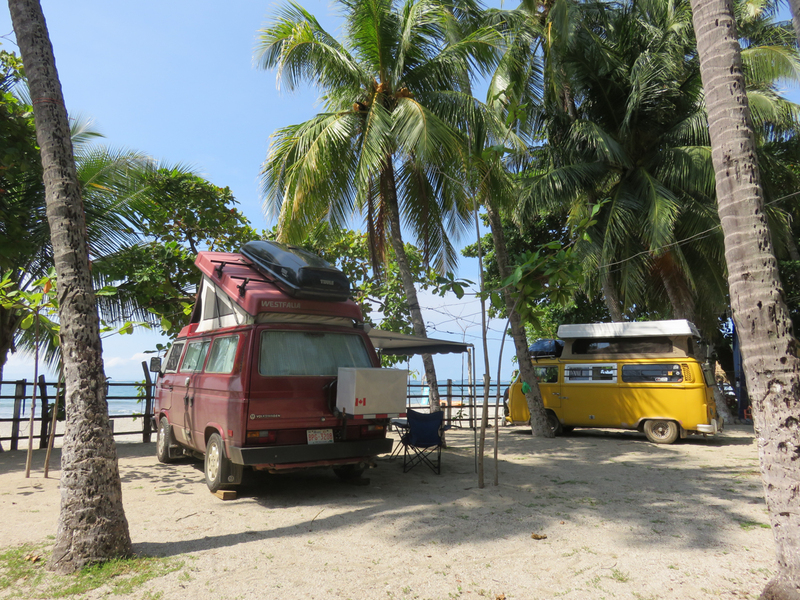 With careful planning, Gregor and I were able to live off-grid in our van for up to 5 days. However, we often needed to camp in or near populated areas for Internet access. 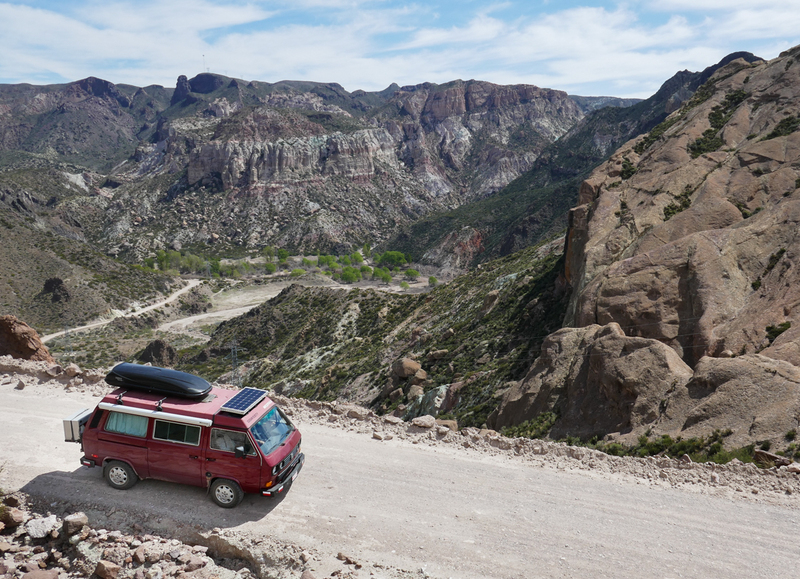 We found safe places to park with the help of two free mobile apps: iOverlander (a crowd-sourced database of campsites and amenities for overlanders) and Maps.me (offline mapping and navigation software using Open Street Maps data). Some people believe that using this new technology takes away the adventure, but we were very grateful to have these time-saving resources. 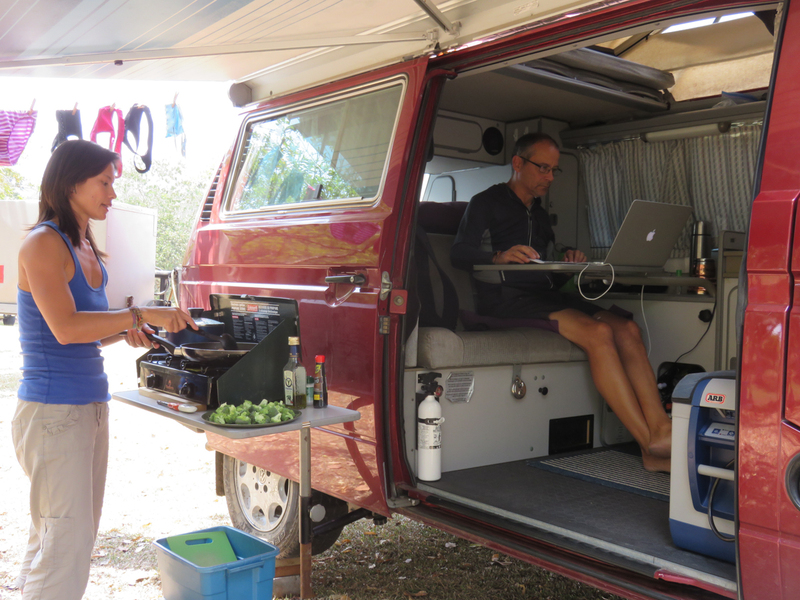 Traveling and working together in a Westfalia has been both fun and challenging. 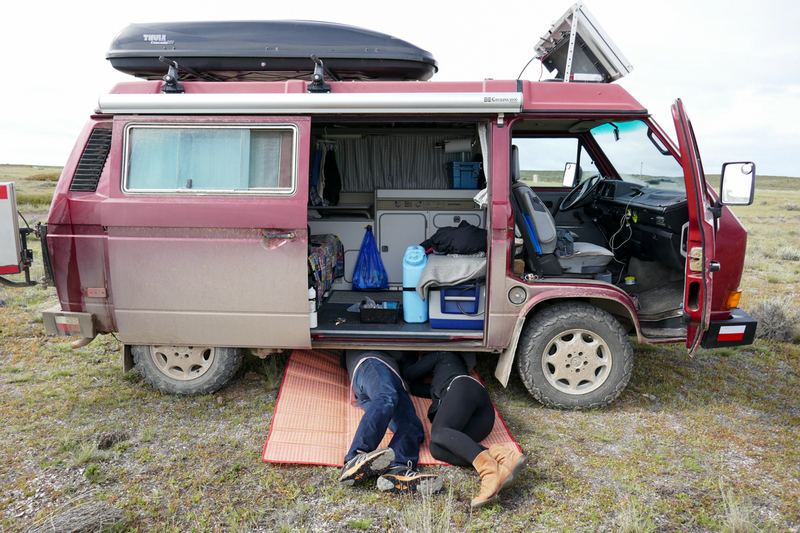 After over two years of living in a 7.4 m2 space, we have learned that the secret to maintaining a healthy relationship is identical to maintaining a healthy van: resolve the small issues before they blow up! This means listening for early warning signs, troubleshooting immediately, and resolving problems before moving further. Sometimes we resolved domestic disputes by taking a vacation from van life and staying a few nights in a hotel. But each time we returned to Lucky, it felt like coming home. 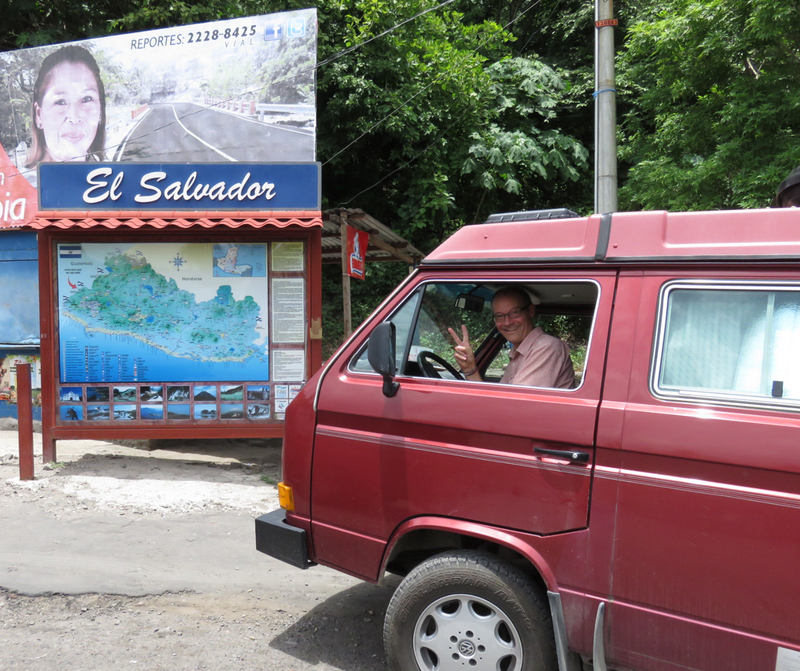 After 681 days, 43850 km, and $5240 USD in gas, Gregor and I stood at the gates of the southernmost city in the world with our beloved van, Lucky. It was a dream come true. 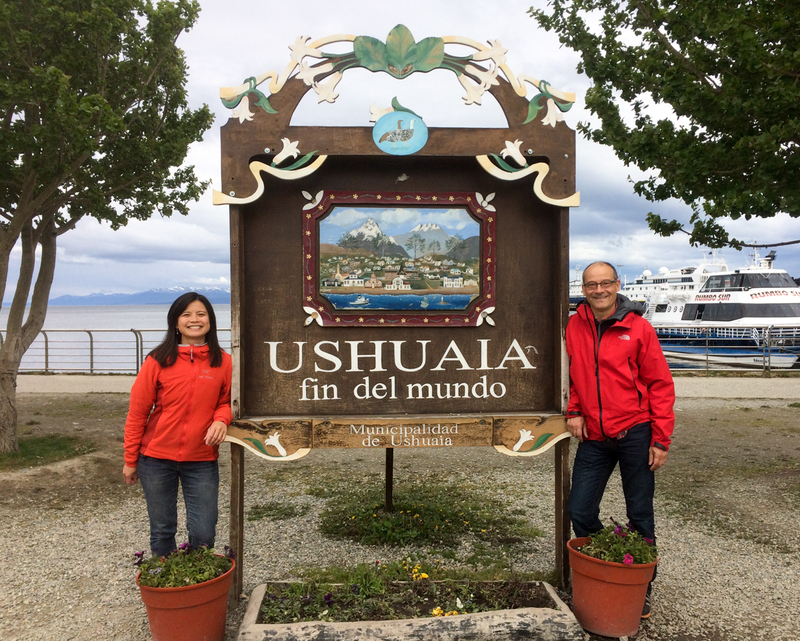 We celebrated my 43rd birthday in Ushuaia, camped in Tierra del Fuego National Park, and hiked in the Fuegian mountains. 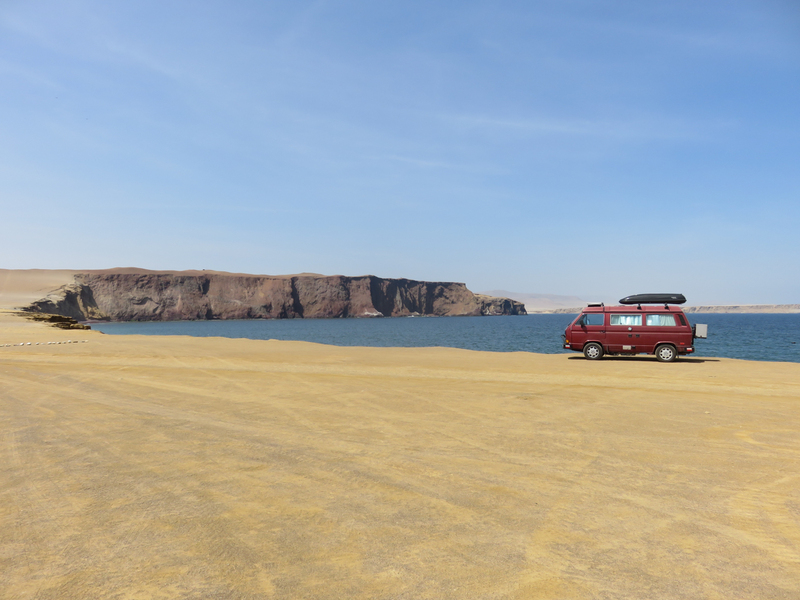 After 12 days at the End of the World, Gregor and I turned Lucky around and drove north. 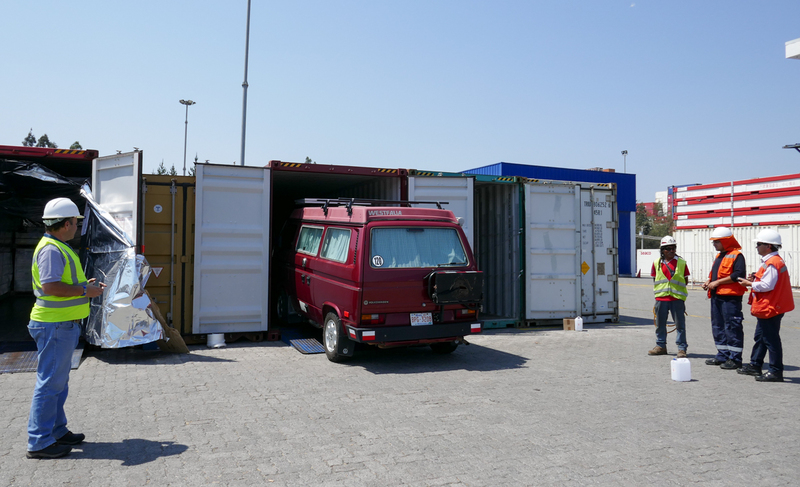 We shipped our van from Chile to the USA, then continued our drive back to Canada. Our original plan was to find jobs, buy some property, and resume a “normal” life in Calgary. But before we returned, we realized that we weren’t ready to stop exploring. Gregor and I now have a new goal: to see the world through the windshield of our van. We are back in Canada, preparing Lucky for a two-year road trip to Europe and Africa. The adventure starts in winter 2017. Absolutely enjoyed reading your article. 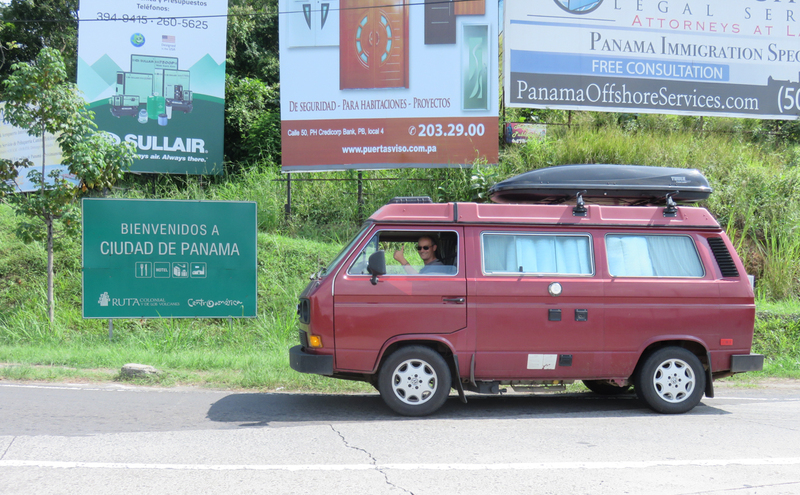 Traveled with my German Eurovan (shipped from Germany to Halifax) to Costa Rica. Since we had trouble to find an adequate shipping from Panama or Costa Rica to Equador we decided to drive to Alaska and later back to Halifax (to ship/fly back home to Germany). 80 000 km, 15 months, 9 countries, one dream. That’s also the title of the book I am currently writing. 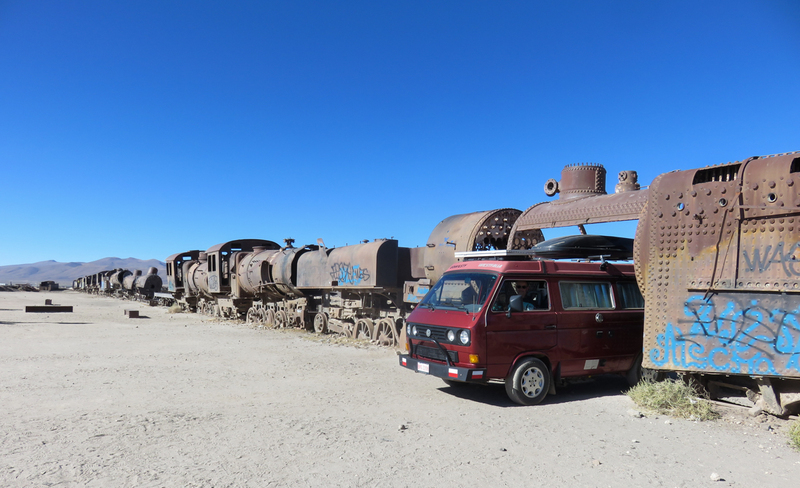 In the meantime we are living in the US and enjoying wonderful trips all across with our Vanagon “Midnight” .. as much as US vacation times allow. Sounds like a great trip! Looking forward to the book. Fabulous! And very inspiring… thanks so much for your splendid storytelling and for sharing your remarkable experience with others! Thanks Rob. Hopefully you can join us for a few weeks somewhere in Europe. What a fabulous journey and a great article in Combi magazine. Sorry not to meet up with you in Golden BC. We have started our trip but are still in the USA, hiking in New Mexico, Utah and the Grand Canyon. 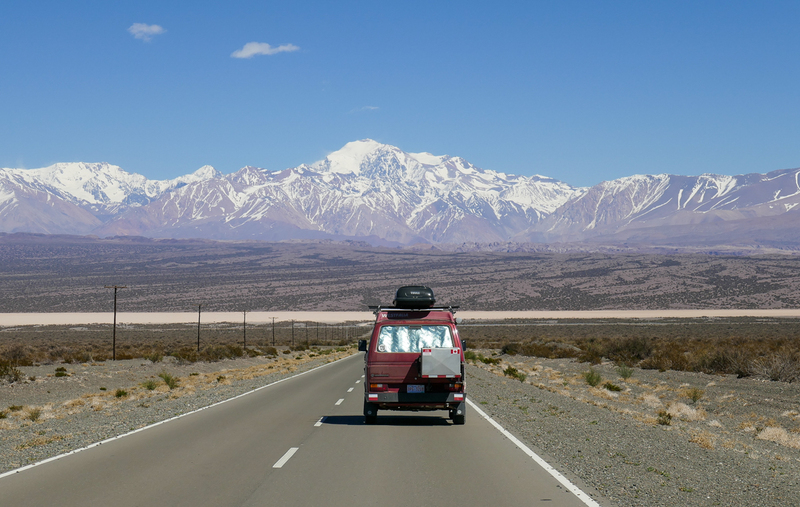 In December we’ill head over to California to Gowesty, then south to the Baja and further south down the Pan American highway to Ushuaia. We know we will take 2 years to get there. We look forward to hearing about your further travels with Lucky in Europe and Africa. Meanie and Robert. Hi Melanie, so sorry that we didn’t connect in BC – it was a pretty crazy summer for us! We’re excited to know that you’ve started your trip and we look forward to following your journey on Instagram. Safe travels and please don’t hesitate to contact us if you have any questions along the way. What a fantastic journey and what a brave couple you are. Thank you for supporting us in our journey, George and Rose! Awesome!! Congratulations. You guys are my heros!! Thanks for following us the entire time and for being such a great cheerleader! Thanks! We had an experience of a lifetime.